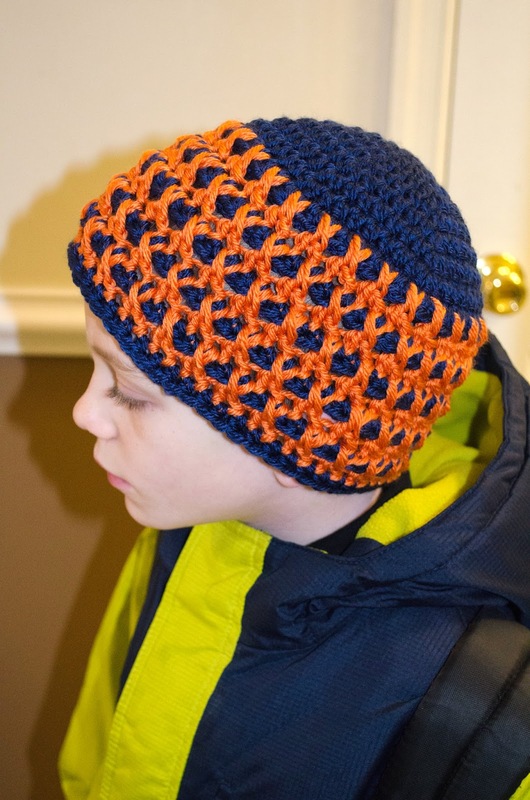 My newest pattern to be released is called the Nater Tater Criss Cross Beanie! I wrote this pattern in honor of my son Nate as he was going in for his 3rd cranial surgery. 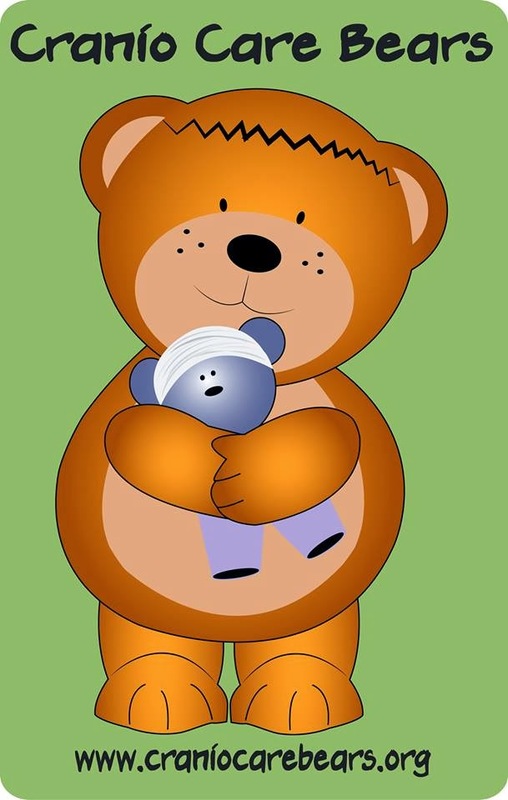 I wanted to write a pattern and donate the proceeds for the first full month to a charity called Cranio Care Bears. They send care packages to children that are having surgery for craniosynostosis, the condition my son was born with. Craniosynostosis is a birth defect that occurs in about 1 in 2000 births. It is when the plates of the skull, which should remain open to allow for growth of the brain, fuses early and causes cranial pressure, which could lead to learning difficulties, brain damage, and other problems. Surgery is the only answer. It requires both a Neurosurgeon and a Plastic Surgeon. It requires the doctors to make an incision in the scalp from one ear to the other, cutting and removing his skull bones and repositioning them with room to grow. They use screws that dissolve over time to secure everything in its place. Then they stitch it back together. On January 22nd, Nate is going back in for his 3rd cranio surgery. 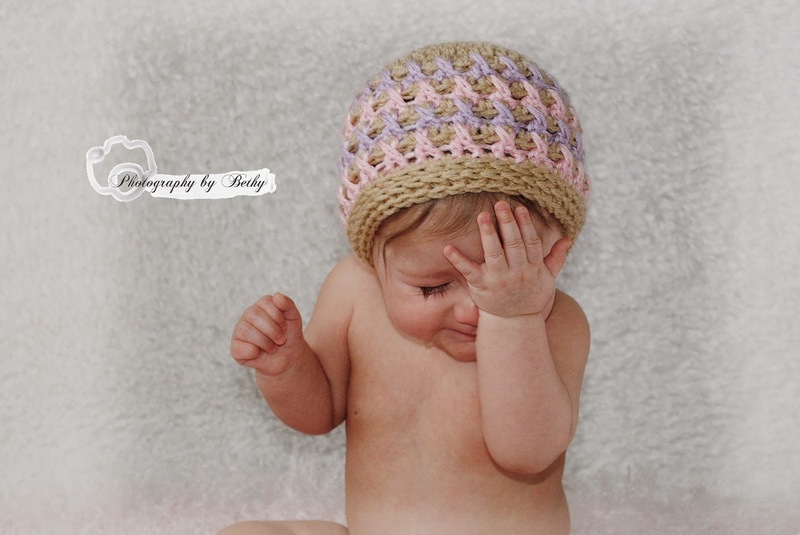 From January 21-February 21, I will be donating all proceeds from this hat pattern to Cranio Care Bears. This pattern is named after him and is designed to resemble the stitches used to stitch up the ear to ear incision. This pattern means more to me than any other that I have written to date. The pattern is written in size newborn to adult. It also includes instructions for making an ear warmer! The possibilities are endless with this pattern! There are so many color combinations! I include a few ideas at the end. 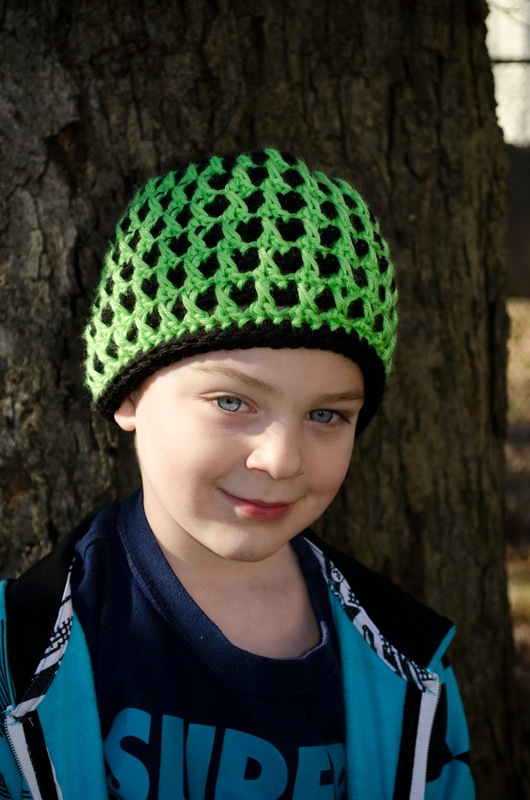 Get your copy of the Nater Tater Criss Cross Beanie on Ravelry and Craftsy. 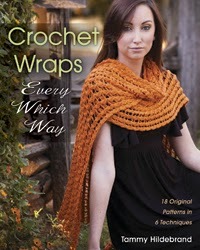 I am so honored to be the next stop on the blog tour to promote the new book Crochet Wraps Every Which Way by Tammy Hildebrand. Tammy is the vice president of the Crochet Guild of America. 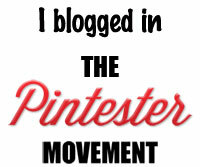 (That means she knows what she is talking about when it comes to all things crochet!) She is also the designer behind Hot Lava Designs. This book includes 18 patterns using 6 different crochet techniques with patterns ranging from easy to experienced. Whether you are new or have been crocheting for years, you will find something of interest in this book. The 6 different techniques are traditional crochet, motifs, hairpin lace, broomstick lace, Tunisian crochet and double-ended crochet. I am very anxious to work one of the Tunisian and double ended crochet patterns! She also includes a photo tutorial at the back of the book to help you with the various stitch techniques. I love that all of the designs are very unique! There are light weight, lacy wraps as well as warm, cozy shawls. Such a great variety! Another thing that I love is the pattern index at the back of the book. It's something so simple, but it really makes it easier when I am deciding on my next project. You can purchase this book on Amazon here. To get a full look at all of the patterns in the book, check out the Look Book here! Want to get to know Tammy more? You can visit her Facebook page here. Day 5's creative daily photo prompt is Lists. I don't have a running list of things to do craft wise, but I do have my schedule where I write down all the things I need to and want to do. this month is full of not many craft things, but much more family things. Family activities, birthday's, parties, dr. appointments, creative daily topics, project due dates, Surgery for the little one, his pre surgery head shave, photos and then some! Busy busy month! Day 3's #CreativeDaily prompt was favorite color. (I'm a day behind) Well I have lots of those. I love the jewel tones. Turquoise, aqua, deep purple. Pretty much all the colors that make up my logo. This is a picture from our coldest day of the year. Wind chill of 11. Cold for Virginia! So I'm showing you my old old old knit and crochet tools that I received after my Great-Granny passed. I use most of the hooks that I got (not pictures), including the reddish pink one in the photo below to the left. You can see how much she used it because the color is worn off. The item in the background is an old set of circular knitting needles that Sears sold many years ago.